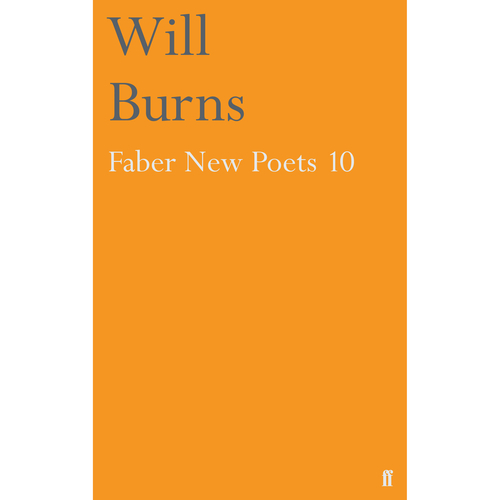 Celebrating the talents of the next generation of poets, on National Poetry Day 2014, Faber & Faber and Arts Council England will publish the pamphlets of the Faber New Poets 2013-2014. An innovative publishing programme funded by Arts Council England, the Faber New Poets scheme exists to encourage new writers at a crucial point in their career. Will Burns was born in London and raised in Buckinghamshire. He didn’t finish his English degree, choosing instead to start a band with his brother, releasing two albums. He worked in factories, cleaning windows, painting houses before settling in the music industry. He likes sports and ornithology and is proud to be Poet-in-Residence at Caught by the River and Festival No 6. His poems have been published by Structo Magazine, South Bank Poetry, Illustrated Ape and the Independent online, and he has appeared at the Glastonbury, Port Eliot, End of the Road and Green Man festivals.